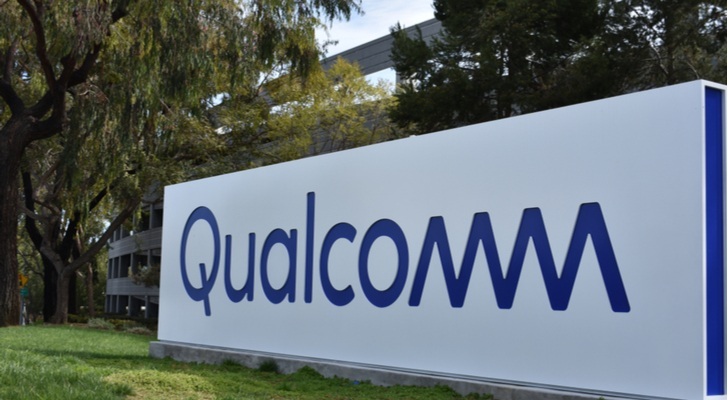 It’s confession time: Qualcomm (NASDAQ:QCOM) is a world-renowned technology innovator, but as an investment, Qualcomm stock has severely disappointed investors. Legal headwinds involving Apple (NASDAQ:AAPL) have dragged on financial performance, while broader weakness in the markets haven’t helped matters. Indeed, QCOM stock has been so choppy, I’m not sure where to start. The tech firm suffered turbulence earlier this year before turning in an auspicious performance in the spring and summer seasons. However, QCOM shares caught the wrong end of the broader market selloff. Since mid-September, Qualcomm stock is down more than 20%. Clearly, this was an organization that desperately needed a catalyst. They received it in the form of its fourth-quarter fiscal 2018 earnings report, but it wasn’t a positive one. While QCOM topped consensus for earnings-per-share, both revenue and net-loss metrics disappointed against their respective year-ago level results. Plus, a revenue downgrade for its upcoming Q1 report ultimately sank QCOM stock. Barring the exuberance from the late-1990s/early-2000s tech bubble, Qualcomm stock hasn’t moved much since summer 2008. That’s an alarming statistic no matter how you cut it. Still, shares have started to bounce back since mid-November, in part due to the potential behind self-driving cars. But will this be enough to rescue Qualcomm stock? Let’s dig in to get a better picture. If you have the patience, Qualcomm stock represents a dream investment for futurists. That’s because one of the underlying company’s core businesses, the 5G rollout, offers multiple lucrative opportunities. Contrary to popular opinion, the 5G network implies much more than just fast wireless speeds for smartphone users. The technology is crucial to achieve the ultimate science-fiction conversion process: making self-driving cars an everyday reality. Despite Qualcomm’s vast businesses, a stake in QCOM stock is essentially a direct play toward the burgeoning autonomous-vehicle industry. According to MIT Technology Review, Qualcomm, along with Ericsson (NASDAQ:ERIC), Huawei and Nokia (NYSE:NOK), began C-V2X development in 2016. C-V2X is an acronym for “cellular-vehicle-to-everything,” and represents unprecedented wireless-tech integration with vehicles. Currently, consumers can only access smart-vehicle driving aids. Advanced systems help you avoid collisions, keep you from drifting into other lanes, and even parallel park your car. However, you cannot ask your ride to take you from point A to point B while you catch up on your Zs. That technology has escaped most sector competitors until just recently. Japanese tech giants NTT Docomo (OTCMKTS:DCMYY) and Mitsubishi Electric (OTCMKTS:MIELY) achieved 5G network speeds of 27 Gbps during a test run, highlighting the rollout’s true potential. Once 5G is fully integrated, it’s the only network capable of fast, simultaneous high-level data transmissions. This would enable self-driving cars to recognize traffic pattern shifts from great distances, thereby preventing accidents. Moreover, a 5G metropolitan area can report road blocks and other hazards in real time, improving traffic efficiencies. In other words, when 5G is completely rolled out, Qualcomm stock could catapult into the stratosphere. Even the most cynical bears must acknowledge the potential for QCOM stock as it relates to 5G and self-driving cars. However, a major challenge in this thesis is time: Autonomous vehicles will not be a reality for a long time to come. A significant headwind is the time necessary to transition from 4G to 5G. Because 5G utilizes shorter, high-intensity waves to achieve its signature swiftness, the current 4G infrastructure is inadequate. Engineers must develop and produce more specialized antennas and terminals before self-driving cars can actualize this emergent technology. Furthermore, 5G’s inherent structure can potentially cause broader integration issues. Since 5G features shorter waves, they’re best suited for dense, metropolitan areas like New York City or Tokyo. But for holistic network coverage without platform transitions, nothing beats 4G, which features longer waves that can travel greater distances. In fact, we have a debate raging between whether self-driving cars actually need the 5G rollout. If it turns out that the prior-gen technology is better suited for autonomous vehicles, QCOM would have wasted substantial resources. I’m sure this would have a negative impact on Qualcomm stock. Ultimately, I view the compelling story behind self-driving cars as a net positive for Qualcomm stock. While 4G undoubtedly features the greater reach, driving demand is focalized in major metropolitan areas. Plus, I find that human drivers are insane in these locales, so 5G’s superior tech would be a lifesaver, literally. That said, I’d only buy QCOM stock for its self-driving vehicles cred if you have the patience. Otherwise, I ask readers to our own Vince Martin’s take on the company. He’s not entirely bearish, but he doesn’t view the present downfall as a tremendous opportunity. But on a final note, it does seem that Qualcomm stock has hit a bottom. Over the last two years, the bears have tried to drop-kick shares below $50, but have failed each time. I’m not saying that QCOM will have smooth sailing from here. However, this selloff is probably overdone. Article printed from InvestorPlace Media, https://investorplace.com/2018/11/qualcomm-stock-looks-to-self-driving-cars-for-a-jumpstart/.